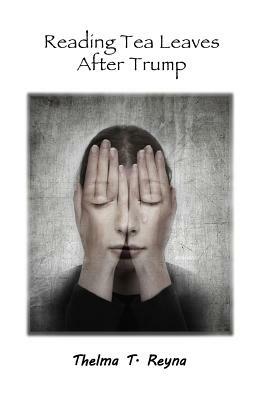 In this collection of poetry and fictional prose, national award-winning author Thelma T. Reyna explores President Trump's effects on the nation during his first pivotal year in office. Speaking in the voices of constituents on both sides of the political aisle, Reyna weaves factual news and other public reports with real and imagined characters to give a reality-based context to the emotions, opinions, fears, hopes, and dreams of Americans in the amazingly untraditional Trump presidency. "If poets are the prophets of our age, Thelma T. Reyna is not only a prophet but a first responder to the Trump era. Placing her poems like bandages over bleeding lies and broken promises, Reyna soothes the pain of a nation in crisis." --Cassie Premo Steele National Award-Winning Poet Author, Tongues in Trees: Poems 1993-2017 "Stunning, heartfelt and deeply honest. Reyna presents to us the forecast of an unfolding aftermath and beyond...in a powerful poetic voice." --Beverly M. Collins, Pushcart Prize Nominee, Poetry Author, Mud in Magic. Thelma T. Reyna's books have collectively won 10 national literary book honors. She has written 4 books: a short story collection ("The Heavens Weep for Us and Other Stories"), 2 poetry chapbooks ("Breath & Bone"; and "Hearts in Common"); and a full-length poetry collection, "Rising, Falling, All of Us." Her fiction, poetry, and nonfiction have appeared in literary journals, literary magazines, anthologies, textbooks, blogs, and regional media for over 25 years. As Poet Laureate in Altadena, CA in 2014-2016, she edited the "Altadena Poetry Review Anthology: 2015," as well as the 2016 anthology, which was the Winner of the 2016 Book Excellence Award (Anthology category). She is also a Pushcart Prize in Poetry Nominee and holds a Ph.D. from UCLA.